Each library has nearby visitor parking, which is marked in blue on each campus map. The library does not sell scantrons. The bookstore at the Pecan, Mid-Valley and Starr campuses sell scantrons. All libraries have ramps and some buildings also have automatic doors and elevators. If you need special accommodations, contact our disAbility Support Service Office. Most items may be renewed online at any time before they become overdue. You may also renew items by phone or in person. You can return a book to any STC library, regardless of which campus library you borrowed it from. The Mid-Valley and Pecan libraries have external book drops for returning books when the library is closed. Study rooms at the Pecan Library can be reserved here. Study rooms at the other campuses are checked out on a first-come, first-served basis and cannot be reserved at this time. Is there a 24-hour study space in the Library? Discovery Search allows you to search our library catalog and most databases through a single search platform. Databases that are not included in Discovery Search are marked with a icon on our Online Databases page. Students, faculty, and staff should use their JagNet username/password. If you forgot your password, click here. If you do not know your JagNet username, contact the IS&P Help Desk. If the IS&P Help Desk is closed, but the Pecan Library is open, we may be able to assist you at (956) 872-2212. The My Account feature enables you to view what you have checked out, see when each item is due, and renew your items to extend the due dates. Under certain circumstances, you may not be able to renew an item online, such as if you have a suspension for an overdue item. The Library Art Gallery is open whenever the library is open. Here you can find the hours of operation for each campus. How can I donate artwork to the Library Art Gallery’s permanent art collection? 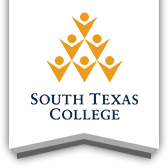 To donate artwork, please contact the Library Art Gallery Associate, Gina Otvos, at (956) 872-3488 or gotvos@southtexascollege.edu. Visitors are permitted to park in student parking areas during the scheduled event. If a visitor receives a parking citation during a library event for not having a valid STC permit, please contact the library at the campus where the event took place. Can I bring my child to library events?